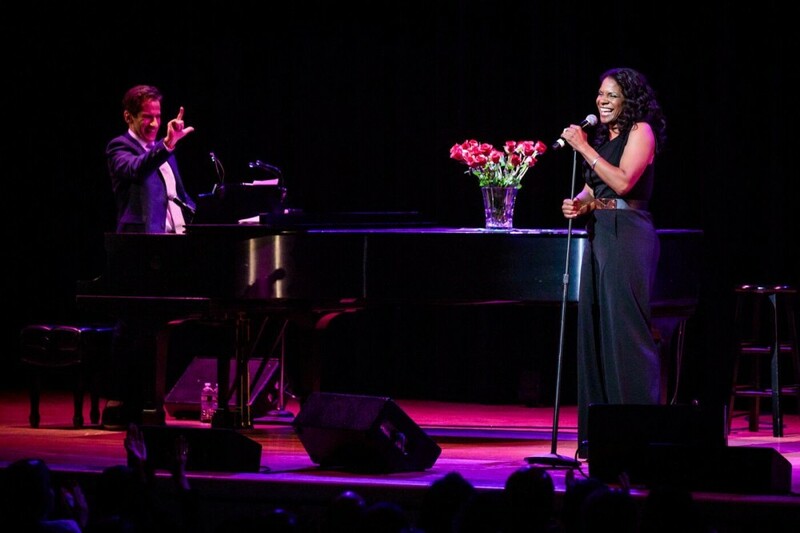 There’s no question the Town Hall was the place to be last Monday night, when Broadway’s resident jack-of-all-trades Seth Rudetsky took the stage with six-time Tony winner Audra McDonald, for the first installment of his aptly-titled musical chatfest, Broadway @ Town Hall. The long-awaited Big Apple debut of the celebrated series, which previously played venues in Provincetown, Ft. Lauderdale, San Francisco and London, among others, this uniquely-constructed evening sees some of the Main Stem’s best divulging backstage stories and insider industry dish, while performing an assortment of their most memorable hits… with a few personalized surprises that are likely to be just as unexpected to them as they are to you. And in terms of this particular go-around, with the inimitable Mama Broadway at its center, you can bet it was an evening its audience won’t soon forget. For one, the structure can’t be beat. The casual “fireside chat” format allows for a much more relaxed and intimate conversation than you might expect from a typical interview. As a result, McDonald (and whichever actors succeed her moving forward within the series) look and feel more at home, free to let loose, and be comfortable in their own skin… which, in turn, makes us feel, not dissimilar to a morning talk show duo, more connected to them personally, as if we, too, are catching up with old friends, peeking in on their lives and experiencing these timeless memories along with them as they reminisce. In short, they’re true bosom buddies in the fullest sense of the word, and watching 30 years of jokes and jabs reveal itself before our eyes is truly nothing short of spectacular. The stories range from the silly to the sublime, spanning the entirety of her illustrious career, each one serving to set up the song that followed… whether McDonald knew it was coming or not. Amidst engaging in playfully snarky banter with her pal, she regales us with a variety of tales, from her days at Julliard spent defying the “classically trained” stereotype to onstage goofs while performing alongside “P. Diddy” to a chance encounter with Liza Minnelli just hours before the Tony Awards (complete with naturally spot-on impression, to boot! ), and, perhaps the most personally meaningful to her, how she came to meet her idols and eventual friends Barbra Streisand, Bernadette Peters and the late, great Barbara Cook. And then, of course, there’s the music itself. McDonald lends her unworldly smooth soprano to a variety of classic musical theatre fare a task made all the more impressive by the fact that the set list was, again, mostly unplanned. While there’s no denying Rudetsky – who deserves equal praise in his own right for his perpetually impressive prowess on the piano – knows how to push her buttons (after all, what are 30-year-old friendships for? ), enticing her to perform an impromptu Evita medley and a nonsensical, expletive-ridden plea to exes via Facebook among the repertoire, the success of the set list lay in the timeliness of the songs’ inner themes and messages. Among them, “Children Will Listen,” spurred on by her aforementioned meeting with the original Witch, paired with South Pacific’s “You’ve Got to Be Carefully Taught,” to emphasize the significance of its lyrics within the current political climate, while Cabaret’s “Maybe this Time,” inspired by her aforementioned encounter with Ms. Minnelli, spoke to personal triumphs in love and loss, stressing the importance of holding on when times are tough. And aptly, as the evening exemplifies, that’s exactly what McDonald has done. Simply put, she is one-of-a-kind, and her journey is like no other — in any facet of her life: from proving herself to the classically trained naysayers with a flourishing Broadway career to breaking the aforementioned cultural barriers as “the darkest Mother Abbess that the world has ever seen,” through her unprecedented history-making feat at the Tony Awards and even achieving pregnancy at a perimenopausal 45, she has “climbed every mountain” and defied all odds in every way. And, as we gape in amazement upon hearing her hilarious and heartfelt stories, while we’re simultaneously gifted with the sound of that sensationally singular voice, we have just one thing to say: we are oh so glad she did. 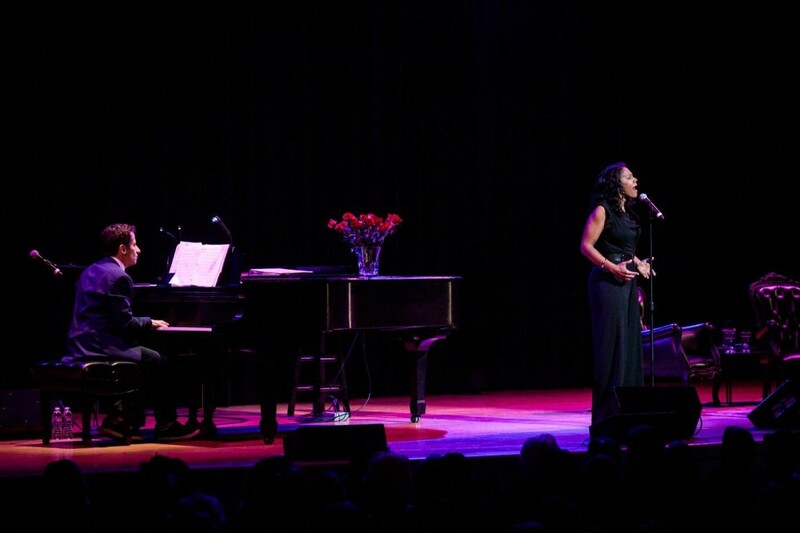 Broadway @ Town Hall, featuring Seth Rudetsky and Audra McDonald, was presented at The Town Hall (123 W. 43rd Street) on November 12th. Rudetsky returns to the venue with Kelli O’Hara on January 12th, and with Jeremy Jordan on March 11th. For tickets and/or more information, visit www.thetownhall.org.